Identify up to 5 clients/prospects you want to target. Look for business owners that are open minded, entrepreneurial (always trying new things), have 5 or more employees, an established product or service, and are enjoyable to work with. Download and print out the Level 5 Service graphic (see below). Review the dialogue between Jack and Bennie - follow the script for describing Level 5 Service embedded in that dialogue. Review the Level 5 Service videos for more scripting options. Practice your presentation with a colleague. Get their feedback. Meet with your target client/prospect - explain that you would like their feedback on a new service offering. Don't try to close the sale in this first meeting - that's too much pressure. Remember this is a test drive to gauge your clients' level of interest in expanding their relationship with you. How you would rate the quality of decision support you have to work with at the present time? What additional decision support would you like? How are you currently sharing information/feedback with the team? What key performance indicators are you currently monitoring? Do you use any kind of business dashboard to run your business? 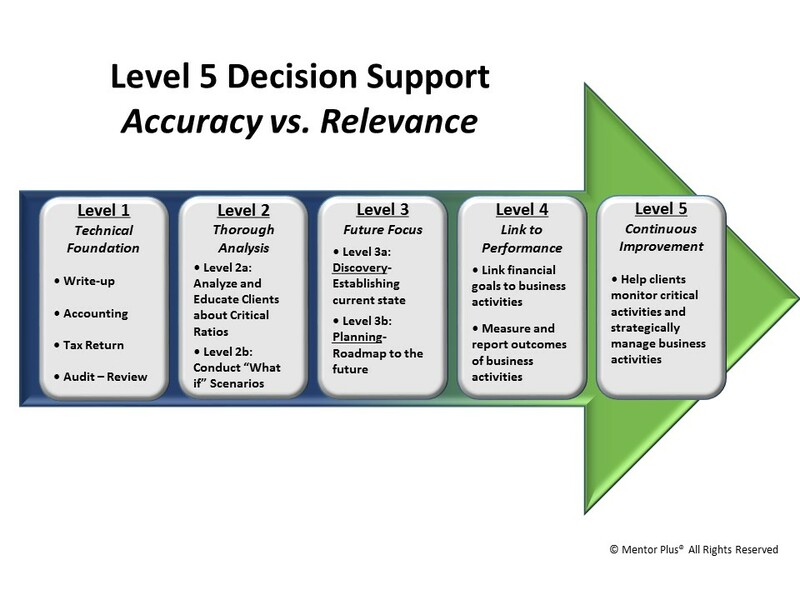 How might the Level 5 process improve your overall operations? 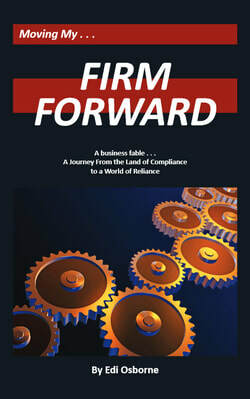 How would your company be different if you were operating at Level 5 quality information. ​How would your role as owner be different if you were operating at Level 5? Ladies and gentlemen, start your engines . . .
Want access to the complete Level 5 Certification program? Starting in May of 2018, our entire curriculum is available online to accountants who want to change the way they work with their clients. Sign up here to be notified when the course is launched.